Ever wanted to construct and customise your own hybrid football bet using different markets from the same match? Now you can! Many major bookmakers are handing a large chunk of control to their customers by offering their own request a bet and bet building features. The features, which have exploded in popularity among punters, allow bettors to tailor their football bets in a direction specific to their own ideas and predictions. By incorporating several different football match markets (corners, cards, goals etc.) into one single selection, customers can design and tailor their own multi-part bets, which are priced and made available to back immediately by the bookmakers. To help you build your customised bets as a more informed bettor, we’ve compiled a useful list of statistics from this weekend’s live Premier League fixtures. Check them out below. Tottenham have only won one of their last eight visits to the Etihad (W1 D1 L6), conceding 23 goals in this period (2.9 per game). None of Manchester City’s last 25 Premier League games have ended level, the longest current run in the competition. 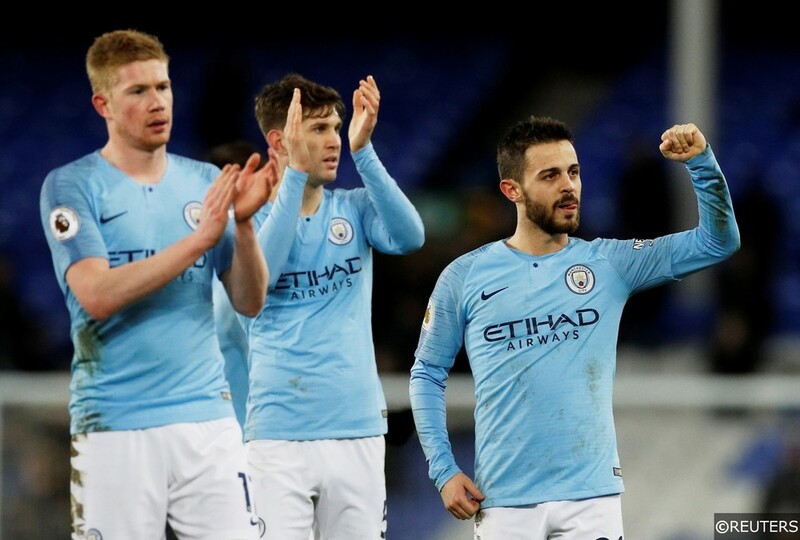 The Citizens have won 21 of those 25 games (L4), including each of the last nine. Man City striker Sergio Aguero has failed to score in each of his last six Premier League appearances against Tottenham after scoring 10 in his first seven. Sergio Aguero has scored 19 Premier League goals for Man City this season – one more will see him become just the second player to score 20+ Premier League goals in five consecutive campaigns, after Thierry Henry (between 2001-02 and 2005-06). Tottenham have won all five of their Premier League games without Harry Kane this season. They last lost without the England striker taking part against Man Utd back in October 2017. Man City have scored at least 2 goals in 17 of their last 18 Premier League home matches. Man City have seen over 2.5 goals in their last 9 home matches against Tottenham in all competitions. Man City have been winning at both half time and full time in 5 of their last 7 home matches against Tottenham in all competitions. Man City have conceded fewer corners on average (2.27) per game than any other Premier League club this season. Read our detailed Manchester City vs Tottenham Hotspur match preview with betting tips and predictions here. Only at home to Spurs (12), Everton (13) and Aston Villa (14) have Newcastle won more Premier League games at St. James’ Park than they have against Southampton (11). Southampton have only lost one of their most recent nine Premier League games with Newcastle (W4 D4), though that defeat came in this exact fixture last season (0-3). 70% of Newcastle’s Premier League victories this season have been by a one-goal margin (7/10) – only Brighton have won a higher percentage of their Premier League games by one goal this term. Southampton have won as many Premier League games in 18 matches manager Ralph Hasenhüttl (W8 D3 L7) as they had in 52 games under their last two permanent managers combined (Mark Hughes and Mauricio Pellegrino; W8 D21 L23). Ayoze Pérez has been involved in five goals in his last six home league games for Newcastle, scoring four and assisting another. Southampton striker Shane Long has scored in his last two Premier League games – he’s never scored in three in a row in the competition before. There have been under 2.5 goals scored in 8 of Newcastle’s last 10 Premier League games. Newcastle (10.91) and Southampton (10.79) rank in the Premier League’s top 5 for average corners awarded in their matches this season. 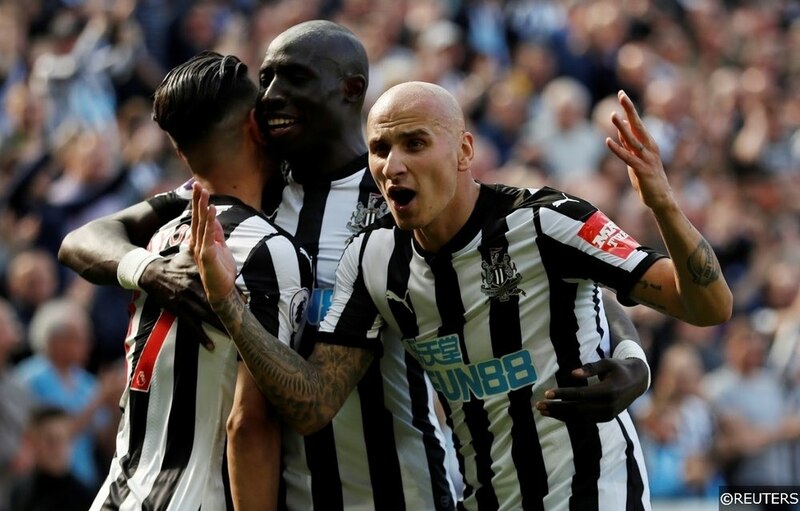 Click here to read our comprehensive Newcastle United vs Southampton match preview for more predictions and betting tips. Everton have lost more Premier League matches against Manchester United than any side has against another in the history of the competition (36). 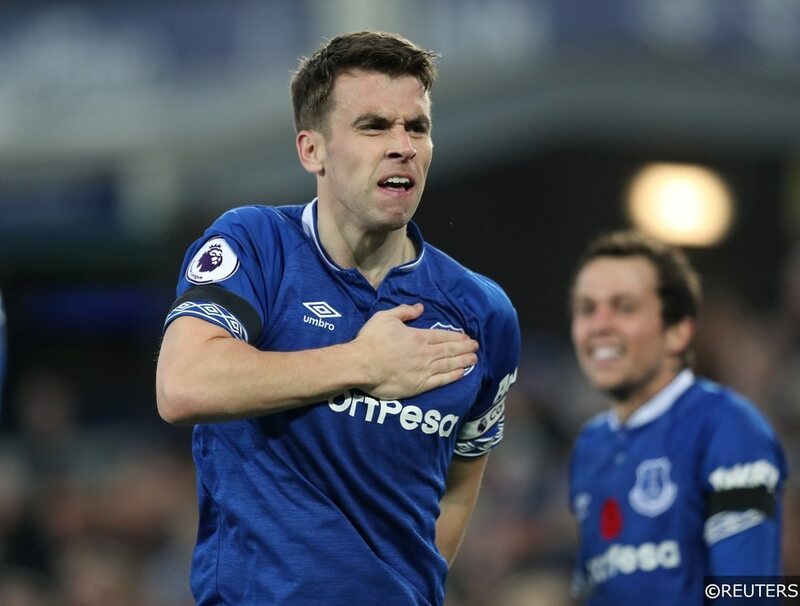 Everton have won their last two home Premier League games against ‘big six’ sides, as many as they had in their previous 19 in the competition (W2 D7 L10). They last won three home league games in a row against such opponents in the competition in March 2012. Manchester United have lost their last two Premier League away games – they’ve not lost three in a row on the road since January 1996. Anthony Martial has scored in each of his last three Premier League games versus Everton – the last Man Utd player to score in four straight matches against a single opponent was Wayne Rooney vs Hull in November 2014. Paul Pogba is Man Utd’s highest scorer in the Premier League this season with 13 goals. It’s the most in the competition by a French player in a season for Man Utd since Eric Cantona in 1995-96 (14), while seven of his goals have been penalties – only Ruud van Nistelrooy (8 in 2002-03) has scored in a single campaign for the Red Devils. Everton’s Gylfi Sigurdsson has been directly involved in seven Premier League goals against Man Utd (4 goals, 3 assists) – against no side has he been involved in more. However, all four of his goals scored against them have come at Old Trafford. There have been under 2.5 goals scored in 6 of Everton’s last 7 Premier League home games. 100% of the yellow cards shown to Kurt Zouma in the Premier League this season were brandished at Goodison Park. Both Everton and Man Utd rank in the bottom 10 for corners awarded per game in the Premier League this season, with identical figures of 10.21 each. Read our Everton vs Man Utd match preview for more predictions and 100% FREE betting tips here. Cardiff have lost their three Premier League meetings with Liverpool, conceding 13 goals. The Bluebirds have never lost more top-flight matches in a row versus the Reds. Liverpool have won each of their last nine Premier League matches against newly promoted sides, scoring 27 goals and conceding just three. The Reds have never won 10 succvessive such matches in the competition. Liverpool have won their last five Premier League games, with the winning goal each time coming after half-time. Mohamed Salah has scored 19 league goals this season, and could become just the third Liverpool player to score 20 in consecutive Premier League campaigns (Robbie Fowler 1994-95 and 1995-96, Luis Suarez 2012-13 and 2013-14). Sadio Mane has scored 10 goals in his last 12 Premier League games for Liverpool – coming into this round of matches, no player has scored more Premier League goals in 2019 than the Senegalese forward (10, same as Sergio Aguero). Cardiff have seen over 2.5 goals in their last 3 matches against Liverpool in all competitions. 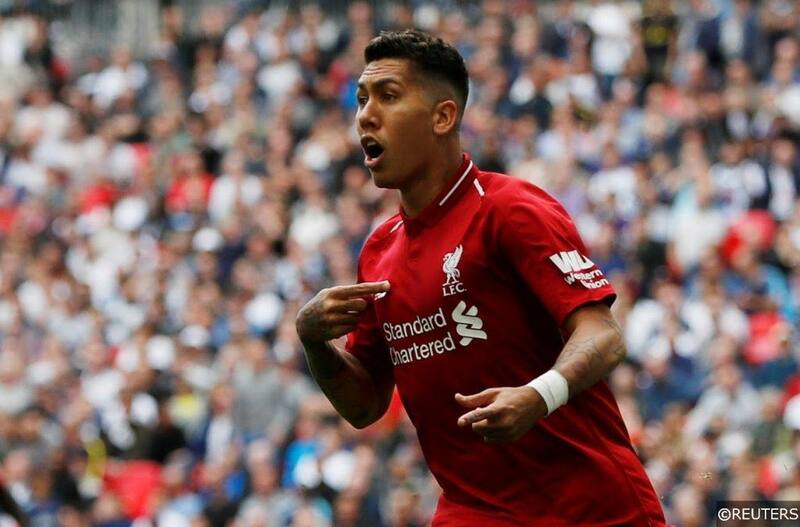 Liverpool have statistically been the Premier League’s cleanest team this season, picking up just 35 yellow cards in 2018/19 so far – the lowest total in the division. Only 5 teams have picked up more bookings than Cardiff (62) however. More corners have been awarded in Cardiff City’s league matches on average (11.30) than any other Premier League club’s fixtures this season. Click here to read our Cardiff City vs Liverpool match preview for more betting tips and predictions. Want to know where to find goals this weekend? Check out our match goals and both teams to score guides with 17/1 and 25/1 accas now!! Categories: Betting Strategy, Blog, Champions League, and Football. Tags: bet builder and request a bet. League: UEFA Champions League. Sports: Football.